New York: Picture of the Day : Lombard Lamp illuminates this corner of Central Park where a long, winding staircase leads up from the Pond to the Grand Army Plaza. A replica of the ornate streetlights that grace the Lombard Bridge in Hamburg, Germany, the lamp was presented to Central Park in 1979 — a symbolic gift of friendship and goodwill from officials of that city. Lombard Lamp illuminates this corner of Central Park where a long, winding staircase leads up from the Pond to the Grand Army Plaza. 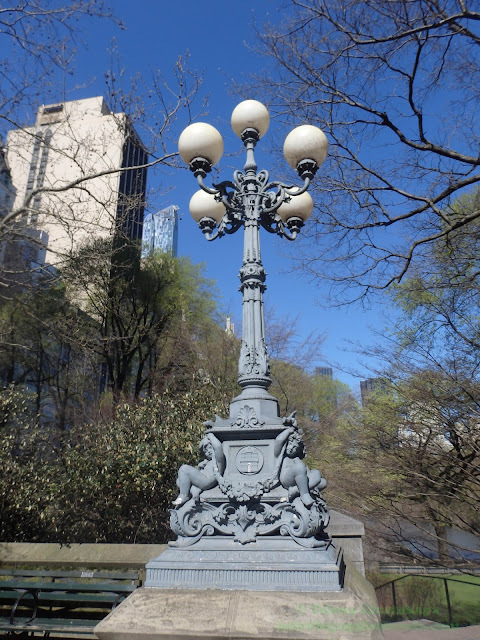 A replica of the ornate streetlights that grace the Lombard Bridge in Hamburg, Germany, the lamp was presented to Central Park in 1979 — a symbolic gift of friendship and goodwill from officials of that city.